Tonight on Echoes, we take a side trip to a different kind of space music to celebrate the Centenary of Sun Ra. Guitarist Syd Barrett reputedly blew his mind to The Heliocentric Worlds of Sun Ra before launching Pink Floyd. Guitarist Daevid Allen was inspired by Sun Ra when he formed the Daevid Allen Trio and went on to found The Soft Machine and his long-lived space band, Gong. SUN RA was the original space musician, although when most people think of space music, he’s probably not the artist who comes to mind. A quick list of cosmic artists might include Tangerine Dream, Pink Floyd, Hawkwind and Gong. But probably not Sun Ra. Music from the Hearts of Space has never played him, but Sun Ra was creating cosmic fantasies since at least 1956 when he released his first album, Jazz by Sun Ra (later called Sun Song). But, Sun Ra wasn’t “chill” or “contemplative.” He didn’t float through space, he screamed. But he was also funny, funky, and free floating. Sun Ra was born this day, May 22, 1914, a date which wasn’t known until the mid-1990s when author John Szwed dug it up for his excellent book, Space is the Place: The Lives & Times of Sun Ra. Tonight on Echoes, we’ll delve into the more contemplative side of Sun Ra, on his centenary. He left the planet in 1993. Thirty Sun Ra albums have just been released on iTunes this week so there’s a great opportunity to catch up on these masterworks. Some of the albums below are in that release. This is a middle period Sun Ra album from 1972 and it’s related to the film of the same name, but it’s not the soundtrack. The album is centered by the side-long title track, a chanting excursion with an insistent funk groove with Danny Thompson playing the baritone riff that anchors you in a series of free blowing excursions from saxophonist John Gilmore, altoist Marshall Allen and Sun Ra while singer June Tyson chants the lyrics of freedom in space. 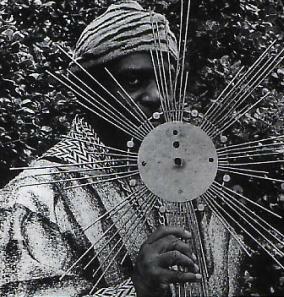 This is the chamber jazz side of Sun Ra, a music that works with space of the musical kind. 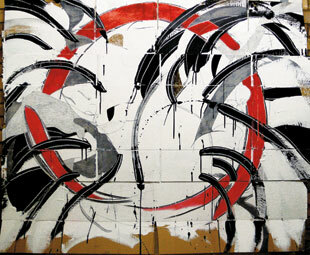 Using instruments like the bass marimba, Ra carves out an abstract world that’s about as serene as he gets. This is another one that uses a lot of space in the music, broken up by mind-fracturing improvisations. The first piece is a prototypical space work with Ra playing a trance pulse while horns drone in long sustained tones creating a mood of mystery and menace. For the flip side of sonic density, get the second volume. If you have never seen Sun Ra live, then you really haven’t experienced him in full effect. Released in 1970, this combines two live performances from Europe and features the Arkestra at a peak of tightness and innovation. This is a great place to start with Sun Ra. It’s the soundtrack to a science fiction film (what else?) he produced in the early 1970s. It features more muted versions of the title piece and “It’s After the End of the World” as well as Sun Ra themes like “We Travel the Spaceways” and “Outer Spaceways Incorporated.” This is as close as Ra gets to bite-sized. I cite this album, which I have on an original Sun Ra El Saturn Records pressing with hand-drawn artwork, for one track, the aforementioned “Constellation.” It’s one of the few times where Ra uses a drum machine, in this case a primitive one like you’d find on a home organ, but Ra amps up that groove, doubling it with baritone horns and leads it into a free-funk improvisation with a John Gilmore tenor solo that will rip your gut out. This isn’t a Sun Ra album, proper. He’s a sideman to vibraphonist Walt Dickerson and it’s remarkable to hear him in a more restrained and supportive role, playing celeste and harpsichord against Dickerson’s melodic vibe inventions. I’ve had a more personal relationship with Sun Ra than with most other musicians. Ra came to Philadelphia in 1968. I arrived in 1972. I saw Sun Ra dozens of times live and when I worked at WXPN I saw him in many studio performances and interviews, some of which I conducted. I produced a radio documentary on him in 1982 and in 1997 I produced another one for NPR’s Jazz Profiles, Sun Ra’s Cosmic Swing. I’ve written liner notes for a few Sun Ra albums, including the reissue of Lanquidity on the Evidence label. In reading over those notes, I realized a lot of it was about my own personal journey with Sun Ra and probably the reason I felt compelled to do an Echoes show on Sun Ra, even though it’s not quite the sound we have on the program. In the Germantown section of Philadelphia, there’s an anonymous stone rowhouse with little to distinguish it from the other rundown buildings on the block. But for 25 years, this home had an interior glow powered by a seismic engine of big band jazz, cosmic space music and intergalactic tribalism. This was the home of Sun Ra and his Arkestra. Philadelphia is often known as a spawning ground for innovative jazz musicians, but it’s also known as a city that musicians eventually leave. John Coltrane, Philly Joe Jones, The Heath Brothers and countless others headed up the New Jersey Turnpike to New York as soon as they garnered any reputation at all. As far as I know, Sun Ra is the only musician to reverse that course of jazz migration, moving to Philadelphia in 1968 and remaining there until he left the planet in 1993. Lanquidity is one result of this often overlooked chapter in the cosmic annals of Sun Ra. His Arkestra’s gestation in Chicago and pilgrimage to New York City in the glory days of the 60s avant garde are the stuff of legend, but once Ra traveled south to Philadelphia, he might as well have taken a left turn into his hallowed home of Saturn. With long stays in Europe and the west coast and constant touring, he seemed to become a musician of the world rather than a local hero. Sun Ra arrived in Philadelphia without ceremony, taking up residence at 5626 Morton Street in the declining Germantown section of the city. He said he came because “Philadelphia was the most evil place in the country,” but likely it was because the home was rented to the Arkestra by altoist Marshall Allen’s father. It looked like all the other rowhouses in the neighborhood, except they didn’t have windows covered with tin foil and psychedelic swirls on the door. But then, in the late sixties, that kind of decor hardly warranted a second glance. Inside the darkened living room, Sun Ra’s electronic keyboards were stacked at one end while the Arkestra piled amongst the frayed furniture and surreal paintings of aliens and Egyptian symbology. Tucked amidst this clutter was an array of cosmic and spiritual paraphernalia. Ra would pull books off the shelf and floor, usually weighty philosophical-mystical tomes like “Book of Urantia.” A garish psychedelic oil painting of Ra, done by a fan, stared from the walls while the aroma of Ra’s vegetarian “Moon Stew” wafted from the kitchen in back. Several members of the Arkestra lived a communal existence in the house, including tenor sax giant John Gilmore and most of the reed section. You’d think they’d create a scene with the neighbors, but aside from around-the-clock rehearsals, no one was taken aback by Ra and the multi-hued raiment of his band members. Sonny would sit on the front stoop of the house, bantering with neighbors as they walked by on a hot Philly summer afternoon. And he was listed in the Philadelphia phone book just like them, under Ra, Sun. Across the street from the house was an empty, wooded lot. When a tree there was felled by a lightning strike, Sun Ra had James Jacson get a piece of it to create the “Thunder Drum,” a centerpiece of Ra’s performances thereafter. If you were on the Philadelphia jazz scene from 1968 to his passing in 1993, you couldn’t miss Sun Ra’s presence. Ra played concerts on a consistently irregular basis. In the early days, you might catch the Arkestra literally falling off the stage of Geno’s Empty Foxhole, their 18 plus musicians and dancers finding scant room on a minuscule proscenium accustomed to trios. Located in the parish hall basement of St. Mary’s Church, the Empty Foxhole, gave new meaning to the term “underground.” The first two rows were ripped out bus seats, the next few were old church pews and the rest were a motley collection of folding chairs. Yet, this was the Philly stop for The Art Ensemble of Chicago, Pharoah Sanders, Anthony Braxton, Sam Rivers and other luminaries of the seventies avant-garde. But Sun Ra didn’t need churches or light shows for atmosphere. He transformed every place he played into a carnival, whether it was the cramped club Grendel’s Lair on South Street, the Painted Bride Art Center in Old City or the steps of the Philadelphia Museum of Art. Because of Sun Ra’s residence in Philadelphia, it became the place to pick up his obscure, self-produced El Saturn sides. At Third Street Jazz & Rock, a record store at Third and Market Streets in Center City, Ra held a hallowed spot. The entire back wall was covered with John Coltrane albums, but the wall on the left was filled with the hand-painted covers of Sun Ra’s El Saturn label. Every few weeks or so, Ra baritone saxophonist and foreman Danny Thompson, would walk into the store, an armful of Sun Ra’s latest opus or two under his arms and negotiate a C.O.D. deal with store owner Jerry Gordon. Philadelphia fans heard Ra odysseys like Media Dreams and Disco 3000 that are rarities elsewhere, and classics like Live At Montreux debuted in Philadelphia on El Saturn years before they were released on “regular” commercial labels. Ra probably never got as much radio exposure as he did in Philadelphia at this time. He appeared frequently on Temple University’s jazz station, WRTI and until the mid-1980s, Sun Ra sides were de rigeur on Blue Genesis, the nightly jazz show on the University of Pennsylvania’s WXPN. Sonny himself was a frequent guest, expounding on the universe as college DJs sat with a mixture of fear and confusion. I know. I was one of them. Often, Ra would bring up his books of poetry and read them on the air, as the DJ mixed in music from his albums. I can remember more than one occasion with sixteen Arkestra members cramming into WXPN’s minuscule studio, Ra pounding on a creaky upright piano, the horns blasting and Ra dancers cavorting in the hallway while DJ/engineers Woessner, Jules Epstein and Kimberly Haas tried to wrestle the sound onto the air. After the last note had bleated away, Danny Thompson walked in the control booth and took the tapes, some eventually surfacing as Sun Ra albums like My Favorite Things. At one point, Ra tried to convince WXPN’s program director, Jules Epstein, to marshal 144,000 musicians to perform a sacred concert related to the coming biblical Armageddon. Epstein wasn’t quite persuaded, but Ra succeeded in convincing WXPN chief engineer Tom Buchler to record him for Buchler’s own fledgling Philly Jazz label, which you now hold in your hands. Ra occasionally broke the surface of the jazz underground in Philadelphia. He performed on Philadelphia’s public TV station, WHYY and he was documented in local filmmaker Bob Mugge’s Sun Ra: Make A Joyful Noise. Mugge couldn’t afford to bring Sun Ra to the great pyramids, so he filmed him in the Egyptian rooms of the Museum of the University of Pennsylvania. 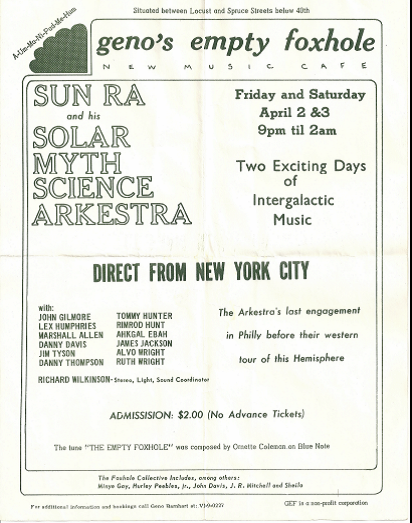 The Mellon Jazz Festival was dedicated to Sun Ra in the year 2000, although I suspect Sonny, who always liked science fiction, would’ve preferred being honored in 2001, in keeping with Arthur C. Clarke’s 2001: A Space Odyssey. He certainly took Philadelphia on a trip. Although he left the planet from his childhood home in Birmingham, Alabama, Sun Ra’s life effectively ended in Philadelphia after he suffered a series of increasingly debilitating strokes. The house at 5626 Morton is a bit quieter now and other Arkestra members, including John Gilmore and James Jacson have also moved on to other worlds. Yet, the band continues on, now under the direction of Marshall Allen. Members of the Arkestra still live in Sun Ra’s home, and if you drive by you might still catch an echo of the music created there. Echoes is on different stations, on different days and different times. You can listen locally or stream-live from our many stations’ websites. You can also stream it on-demand from Echoes On-line, our streaming subscription service. You can sign up for a 1 week trial of unlimited streaming for $2.99 here. Hear an Interview with Darkside Tonight on Echoes. This past October I got to see the band Darkside at the Mountain Oasis Electronic Music Summit. They played before an impressively large audience in the Thomas Wolfe Auditorium, considering they only had one album out, Psychic. They’re a band that favors shadows, standing in twin cones of low, smoke filled light, delivering snarling guitar leads over throbbing electronic drums and sequences like a pong game on acid. They recalled the German band Can, with their motoric grooves and free improvisation, but brought a modern DJ sensibility to their set. It was like a rave in a bomb shelter. 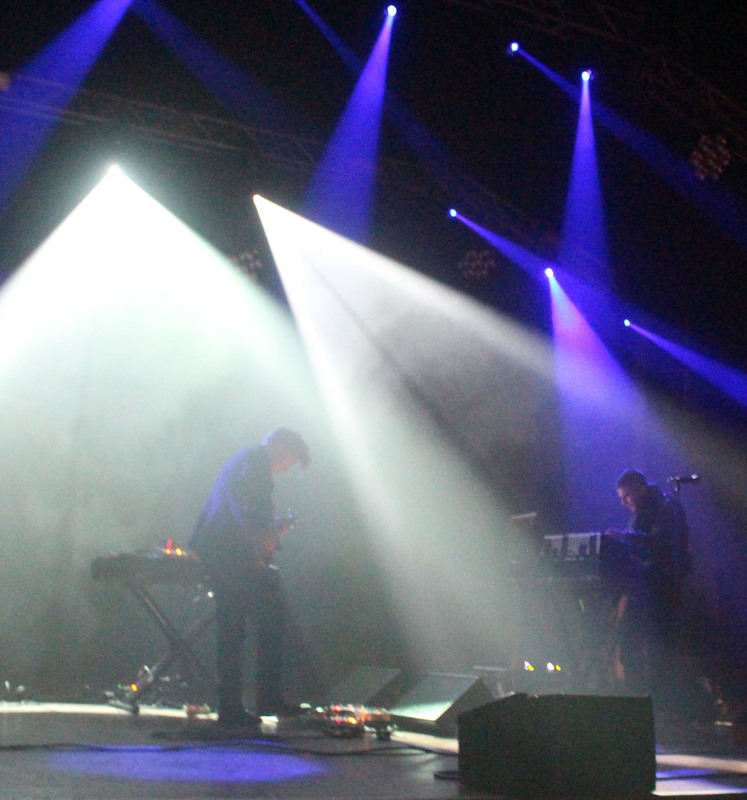 Tonight on Echoes we’ll revisit our interview with Darkside’s Nicolas Jaar and Dave Harrington. Guitarist Dave Harrington has just released a solo EP, Before This There Was One Heart But a Thousand Thoughts . Check out their live set in Paris last year. And turn it up. You might recall that last year Karl Hyde from the band Underworld released an album with Brian Eno collaborator Leo Abrahams called Edgeland. (You can hear an Echoes interview with them). That was a great album and now Hyde has teamed up with Brian Eno himself for a new CD called Someday World. Surprisingly, it finds both musicians working in much more conventional song form. For Eno, this falls somewhere between the Afro-centric grooving of My Life in the Bush of Ghosts and the fractured poetry of Drums Between the Bells. For Hyde, it’s less moody than Edgeland, but retains his diary-like lyrics, picking up on scenes and conversations around him. Here’s a cool video of them jamming for possible live sessions. It’s not totally indicative of the way the album sounds. That’s in the video below that. Also today, we’ll hear some beautiful new music by Carl Weingarten, a great, unheralded and underrated, often experimental guitarist. In the early 1980s he had a progressive rock group in St. Louis called Delay Tactics and then started releasing solo albums in an ambient style. He moved to San Francisco and got involved with world music, created some nice world fusion albums and started playing dobro and a more rustic style of guitar. Life Under Stars finds him in a much more pastoral role in a great ensemble recording that includes trumpters Jeff Oster and bassist Michael Manring. Expect to hear this a lot on Echoes. I’m in a state right now where 20 year anniversaries don’t seem like such a big deal. After all, we just commemorated the 30th Anniversary of Steve Roach’s Structures from Silence and the 40th Anniversaries of Pink Floyd’s Dark Side of the Moon and Mike Oldfield’s Tubular Bells. I think that divide might say something about how you feel about Aphex Twin’s Selected Ambient Works Volume II. If you’re on the far side of the divide, you, like me, might think that it was a fairly slight album, full of obviously derivative influences from Brian Eno, Jon Hassell, Philip Glass and old musique concrète and early electronic music. If you’re on the nearside of the divide however, you might see this as a magnum opus, an album that signaled a new way of approaching music and listening, an ambient manifesto that is still resonating today. Here’s one of the stories that was too long for the feature piece. If you bought Selected Ambient Works Volume II when it came out, there were no titles. Only a matrix of enigmatic pie charts matched with enigmatic photos, usually very tight fragments of larger objects. In print, the titles were simply “Track 1: (Untitled),” “Track 2: (Untitled)” etc. or just “#1,” “#2,” “#3” etc. But now, when I put that same 1994 CD into the computer, Grace Notes actually pulls up track names like “Rhubarb” and “Grey Stripe.” This is one of the stories Marc Weidenbaum tracked down. MW: Yeah it’s funny, it depends generationally as to when you experience the record as to how prominent those titles are. The story of the titles, for people who are unfamiliar with the record, the way it’s structured is that when you purchase the album physically and it just came out on CD, and cassette and vinyl, there was a large image in the center spread that was a bunch of circles. And each circle, you figured out, correlated with a side of the album and the relative size of a piece slice of that circle helped you figure out which track was associated with it. In fact, it didn’t technically have word titles, one of the tracks, “Blue Calyx,” retained a title from being released previously by him as a single. But all the other tracks are, and including “Blue Calyx,” are associated with pictures that appear on this same center spread. And each of those pictures is of an object. And as for Grace Note, I was so fascinated by the way that those track titles are distributed that I tracked down someone from Grace Note, a very senior person on the editorial staff there. And she talked me through the process. And what’s really interesting is that the way that Grace Note manages that data kind of privileges these fan titles over the original titles because it’s very difficult in their database at the way it’s been structured since the ‘90s when it was first developed, to deal with null entries. And so it actually privileges names over null entries, so these words have gotten out there. And just one little side note, as I was working on the, when I was working on the book, I looked at iTunes and in fact on iTunes in the middle of last year, the titles were still reproduced with these name titles, not with the original factual titles. And I tried to contact Apple to get an explanation and I never heard back from them, but very shortly after I got in touch with Apple about this, the album Selected Ambient Works Volume II disappeared in America from the iTunes record store and was gone for quite some time. And eventually it came back with blank titles. I don’t know if it was just coincidence or what, but it was fascinating that it went away. Author Marc Weidenbaum falls on the near side of that equation. He’s a music journalist who was an editor of Pulse Magazine for several years where I was a writer. Now he publishes the Disquiet webzine. Born in 1966, he’s perhaps just slightly too young to have experienced firsthand the early ambient music of the late 1970s and early 80s. But Weidenbaum is an erudite and voracious music listener who knows his music history. He thinks Selected Ambient Works Volume II is so significant, that he’s written an entire book on it in the 33 1/3 series, also just called Selected Ambient Works Volume II. You can hear him talk about it tonight on Echoes. Hear more stories of Aphex Twin’s Selected Ambient Works Volume II tonight on Echoes. Today is Earth Day. Tonight on Echoes we’ll celebrate with an Earth Day Soundscape, but you create your own soundscape any day with these 11 recordings that are drawn from nature. Released in 1972, Sonic Seasonings was ambient before ambient was coined. Taking the form of Antonio Vivaldi’s “Four Seasons,” Carlos orchestrated four side-long soundscapes designed to be “part of the decor.” Carlos weaves gentle, often reedy synthesizer melodies through chirping birds on “Spring,” phase-shifted church organ drones across crystalline bells and wind on “Winter,” and she seems to simulate an alien space landing on “Summer,” mimicking nature with her synthesizer. It was close between this album and his 1989 album, Rainforest. On that album, Rich synthesized his own virtual rainforest, but on Nest he uses environmental recordings he made in Australia where he was inspired by the nesting of tree frogs there. He weaves synthesizer textures, spare piano, gongs and flutes in a slow motion dusk that floats like mist on the forest floor. 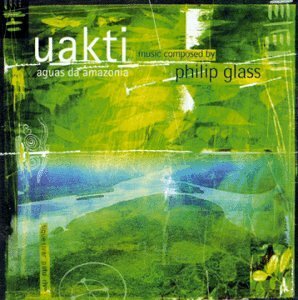 The collaboration of composer Philip Glass and the Brazilian new music group, Uakti, is a natural. Uakti plays instruments that are a cross between the PVC pipe percussion of The Blue Man Group and the exotic sound sculptures of the late Harry Partch. They play PVC pipe covered with skins, a wooden box with latex strings, marimbas made from glass bars and violins made from gourds. Marco António Guimaráes created these instruments and arranged them for Glass’s charming compositions inspired by Amazonian rivers. Rena Jones’ 2007 album, Driftwood, follows the life of a tree from “From Star to Seed” to “Driftwood.” It’s an entrancing album that’s as much about Jones’ translucent laptop compositions as her gifts on cello, guitar, violin and clarinet. Compositions like “Photosynthesis” and “Driftwood” have an almost classical flow as her strings and clarinet articulate Arvo Part-like lines of liquid inevitability while rhythms pulse, shudder and ping through the melodies. Bernie Krause was one of the early pioneers merging electronic music and environmental sounds, most famously done on In A Wild Sanctuary by Beaver & Krause in 1970. 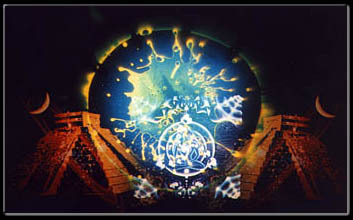 But in the 1980s, Krause committed himself to sonic ecology, recording environments across the globe. He would orchestrate these natural sounds into compositions, sometimes purely natural sounds, other times reinforced with some gentle synthesizer underpinnings ala Sonic Seasonings. That’s what he does on Equator. The Godfather of environmental music, it’s hard to pick a CD from Paul Winter. But his 1990 album, Earth-Voices of A Planet seems a perfect merging of Winter’s chamber jazz folk sound merged with environmental sounds. Spotted owls, elephants and whales (many recorded by Mickey Houlihan) are joined by Winter’s soprano sax and musicians like Glen Velez, Rhonda Larson and Eugene Friesen in ecstatic songs like “Cathedral Forest.” Winter rises above New Age clichés for this genre. Jalan Jalan was a studio project from the Japanese Pacific Moon label. They took the sounds of Balinese gamelan and combined it with pianos, flutes, small percussion and environmental sounds into gentle refrains. It owes much to Brian Eno’s Music for Airports, with its sense of elegiac repose and resigned melancholy, particularly tracks like “Firefly Sanctuary.” The canon form in which most of these pieces are written and the stately pace they follow make this music seem like it could go on forever, and you wish they would. In this meeting of Native flute and Hawaiian slack-key guitar, these two artists create a music born of their native landscapes. Though most of the tunes are Hawaiian in origin and largely arranged by Beamer, he lets Nakai take them out into the deepest southwest desert, tumbling them through canyon echoes and ancient chants of his own. Nakai and Beamer’s voices, despite intoning different sounds, come together as one. The rhythms, played on percussion instruments from Hawaii, the southwest and Africa are trance-like and ceremonial. There are no nature sounds here, but George Winston has always been great at evoking seasons and landscapes with his piano. This was his first post-seasonal CD and it found him exploring new modalities on songs like “Tamarack Pines” where Winston extracts from the minimalist canon of Steve Reich with a nod to Terry Riley’s “In C” in constructing a cyclical journey. 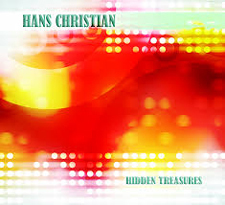 On “Forbidden Forest” he plays with inside-the-piano effects while “The Cradle” draws from the jazz harmonies of Larry “Khalid Yasin” Young, the late jazz organist. This is possibly the most surreal use of environmental sounds ever. Eno used nature sounds mixed with acoustic sounds and some synthesizer, but blended them using musique concrete techniques to create imaginary landscapes. Many of them are named for geographical locations, but in this sonic transubstantiation, the locations are completely in the mind, even when born from nature. Hear An Echoes Earth Day Soundscape tonight. Seems like Coldplay is really spacing out on this new song called “Midnight.” They haven’t released any info about it except the video director, Mary Wigmore. But this is definitely as ambient as pop music can get. And singer Chris Martin seems ready to join the falsetto forces of Bon Iver, et al. Go to Edgeland with Underworld’s Karl Hyde & Leo Abrahams. Hear Karl Hyde & Leo Abrahams talk about Edgeland in Echoes Tonight. In the 1980s, Rick Smith and Karl Hyde got together in a band called Freur and then formed the influential electronic dance group Underworld. They’ve been musically inseparable until recently. Rick Smith scored the soundtrack for Trance and Karl Hyde released his solo debut, working with Brian Eno collaborator, Leo Abrahams. The album is called Edgeland. I travel with Karl Hyde and Leo Abrahams to the outskirts of civilization. Karl Hyde on synaesthesia: I’m synaesthetic in as much as I see shapes and hear colors, and colors make sounds and buildings generate words. Karl Hyde on decay: I’m largely drawn to what we think of as decay and I find very beautiful…you know, the cracks in pavement or walls, weeds, discarded things, things that I see as markers left behind by people who are on journeys, things we need to find and to follow like a trail of breadcrumbs. I find all of these to be very beautiful in their rhythm, in their sequencing. Hear more of Karl Hyde & Leo Abrahams’ interview in Echoes tonight. 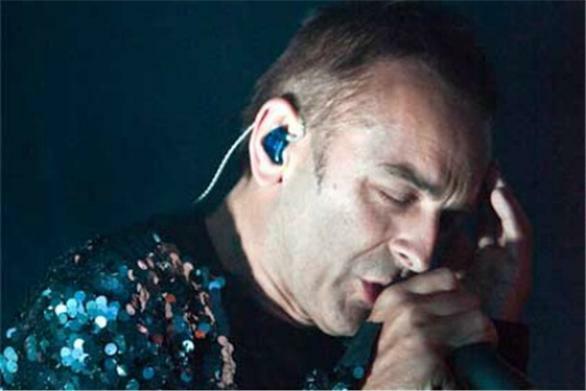 Underworld’s Karl Hyde & Leo Abrahams in Echoes Podcast. Hear Karl Hyde & Leo Abrahams talk about Edgeland in Echoes Podcast. Hear more of Karl Hyde & Leo Abrahams’ interview in the Echoes Podcast.